They’re back! 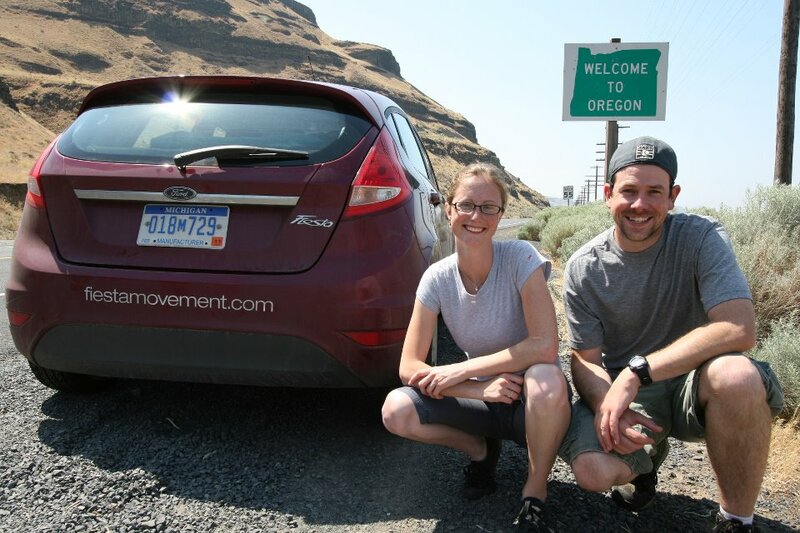 Brad and Emma Nelson first made Ford news when they auditioned for, and won, a spot in the Fiesta Movement, a marketing campaign that had Ford selecting 100 Fiesta “agents” to pilot the Fiesta in a cross-country roadtrip. The recent newlyweds scored points with an audition tape that included driving their compact car onto the stage at Medford’s Craterian Theater where Brad is the production manager. During their Fiesta “mission” they covered serious miles, shooting photos and video all the way. Now that they’ve proven they’ve got the right stuff they want to repeat the mission in a 2014 Fiesta. But they need your help. “Like” their facebook page and be sure to watch, comment on, and share their 2013 audition video (below). Then join all of us at Butler Ford as we root ’em on in their next big Fiesta adventure! « Presenting New Butler Auto Group Websites!